CHICAGO – Danny Boyle’s “Trance” is an undeniably well-made thriller that works back in on itself a few too many times for disbelief to stay suspended but delivers enough escapist entertainment to be considered a success. It’s totally ridiculous and yet never boring, propelled by the quick-cut style of the man who brought similar momentum to “Shallow Grave,” “Trainspotting,” and “28 Days Later.” At this point in his career, nearly everything Boyle does is interesting. The fact that “Trance” doesn’t rise above that faint praise is only due to the silliness of the script by Joe Ahearne & John Hodge. When one reconsiders the plot after the end, it’s nearly miraculous that Boyle and his talented cast pull it off as expertly as they do. “Trance” is an art heist movie for adrenalin junkies. Simon (James McAvoy) works at a well-known art auction house. He has been well-trained as to what to do should anyone try to rob the building of their multi-million dollar collection of paintings. Move quickly and save the most valuable piece of art that you can get your hands on. Put it in a special case, put that case down a chute, and at least guarantee that the prized possession of the auction house will be safe. When Franck (Vincent Cassel) and his team moves to take over the art house at which Simon works, our man moves into action. He takes the painting, zips it up, and moves to the chute, at which point he is knocked unconscious by Franck. The thief and his men get the case back to their lair, only to discover that Simon pulled a fast one and cut out the painting before getting brained. And guess what? Simon got hit in the head hard enough that he has no idea where it is. 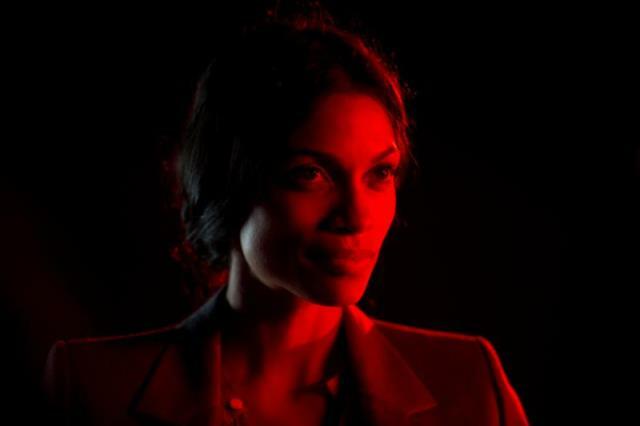 Enter Elizabeth (Rosario Dawson), a therapist/hypnotist who may be able to help Simon recover his memories before Franck kills him. And she may have some ulterior motives of her own. If you’re thinking that hypnotic suggestion, surreal flashbacks, twisting narratives, and Hitchcockian degrees of betrayal sounds right about in the wheelhouse of a director who has played with in-your-face visuals and bad behavior before, then you’re on the right wavelength for “Trance.” It’s an aggressive movie, a work propelled by a driving score by Rick Smith of Underworld (who Boyle used so memorably in “Trainspotting”) and kinetically shot by the great Anthony Dod Mantle (a regular Boyle collaborator). It’s a film that has such Boyle-typical forward momentum that the viewer simply gives into it and goes along for the ride. Mostly. By the time the actual heist is seen in flashback for the 12th time (each with a bit more detail), I started to lose a degree of patience with “Trance.” Boyle feels at times like he’s trying to pull a hypnotist’s trick with the audience, drawing us in to the point where we don’t notice what the left hand is doing. To that regard, I wish “Trance” was trippier. Oh, it goes some crazy places, but I wanted to get caught up in the final act of “Trance” instead of just curious about what the final of several twists would be. As for performance, McAvoy never gets the credit he deserves as an engaging leading man and Dawson is beautiful and convincing but the movie is stolen wholesale by Cassel. He’s always such a riveting bad guy and he invests this complex character with so much more than mere menace. “Trance” is a mind f*ck that doesn’t quite deliver beyond a one-night stand. It’s fun in the moment, undeniably well-made, and with three strong central performances, but it also repeats itself a bit too much and feels thin upon reflection. Perhaps we expect too much from Boyle at this point in his career to not be more satisfied with a good-not-great art heist flick but that’s what happens when one reaches a certain point in their career. I was happy to be reminded of other great Boyle works like “Shallow Grave” and “Trainspotting” while watching “Trance” but I also kind of wished I was watching those films instead. 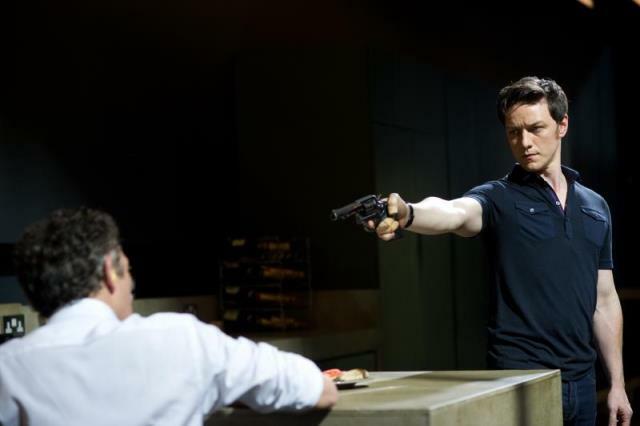 “Trance” stars James McAvoy, Rosario Dawson, and Vincent Cassel. It was directed by Danny Boyle. It opens in Chicago on April 12, 2013.